UKAS Customers will be aware that if the UK leaves the EU without a deal on 29 March 2019, the requirements for placing certain products on the UK and EU markets, including the arrangements for conformity assessment, marking and labelling, will change. In this context customers will want to note that the Government published the new UK Mark (UKCA) on 2 February. In the event that there is no deal agreed between the UK and the EU by 29 March the new marking may be applied to certain products, such as toys and machinery, sold in the UK, replacing the CE marking. If the UK leaves the EU without a deal, the Government has stated that manufacturers will be able, for a period of time, currently unspecified, to continue to use the CE marking when placing their products on the UK market (if their product meets the relevant EU requirements). This would include products that have had any necessary third-party assessment carried out by an EU-recognised body. The Government has stated that it will consult businesses before taking a decision on when this period would end. Manufacturers will need to use the UK marking if their products require third party assessment of conformity within the UK. This will need to be carried out by a UK-based Notified Body (post-exit called an Approved Body). 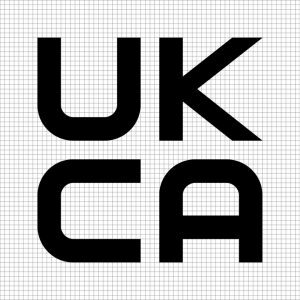 In that case manufacturers will have to apply the new UKCA marking after 29 March 2019 (where required by legislation) as the EU will cease to recognise the ability of UK Approved Bodies to apply the CE marking. This will not be the case if the certificate of conformity has been transferred to an EU-recognised Notified Body (in which case the CE marking would apply). The Government’s position is that delivering a deal with the EU remains its top priority and UKAS firmly believes that continuing mutual recognition of accredited conformity assessment should be an integral element of any transitional and future deal between the EU and the UK. UKAS continues to work closely with BEIS, DExEU, DIT and all relevant UK government departments to ensure they understand the implications for UKAS, for UKAS’ customers and for users of accredited services. UKAS is currently working closely with the Goods Team at BEIS on co-ordinating the transition from Notifying Bodies to Approved Bodies and on the new UK database for Approved Bodies (which will be a UK version of the NANDO database). UKAS will issue further guidance for the transition of accreditation to the new system as soon as possible. It is intended that such transition will take full account of existing demonstrated competence of the CABs concerned. We appreciate that this time of continuing uncertainty about the outcome of Brexit is causing concern among many of our customers. As negotiations progress and our discussions with Government and other partners go forward, UKAS will update you on progress.